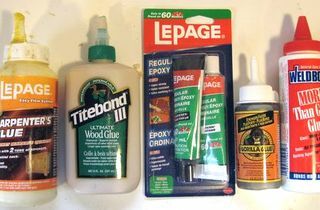 Time and time again, people tell me that Gorilla glue is great for imprecise joints, because it will expand to fill any gaps. 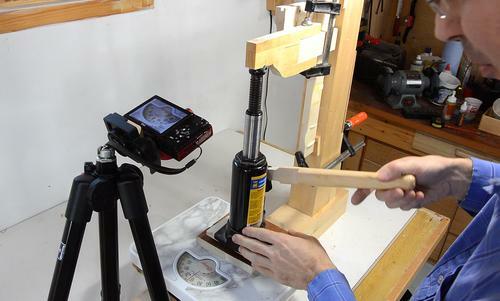 Based on examining the joint surfaces from previous tests, I was skeptical about this. So I figured I should put it to the test. I made a quick test joint. I used some plastic shims in the corners to separate the joint surfaces by about 0.3 mm. 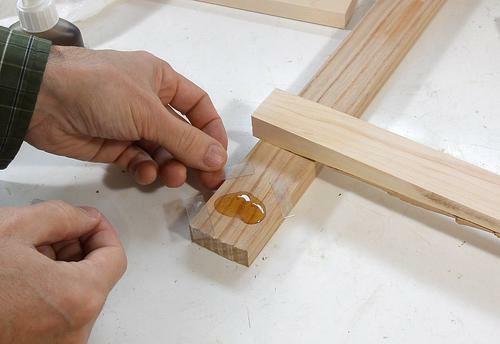 I slightly moistened the wood before applying the glue (recommended for this type of glue) and used enough glue to cause squeez-eout on all sides even before the glue expanded. I gave the joint a week to dry. Not that it needs that long, but I had other distractions. The joint was probably fully cured after just a few hours. 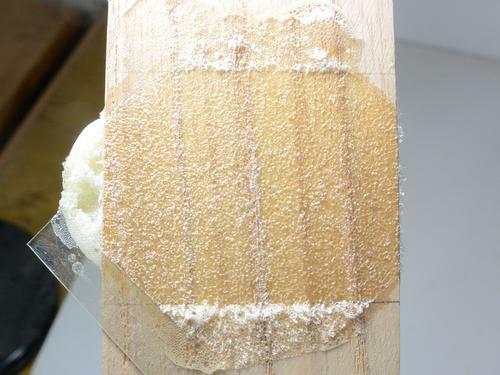 As expected, with so much glue in my gappy joint, there was plenty of squeeze-out, especially once the glue expanded. My first test, just holding it in my hands, and pushing together. The joint snapped very easily. 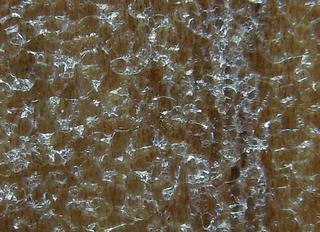 Examining the glue surface close up. The inside of the joint consisted entirely of glue foam. No wonder it broke so easily. Foam is not very strong. At this point, I didn't seem necessary to take measurements to establish that this is a weak joint. But I had prepared some test specimens before I did my simple manual test. So I figured I might as well test these on my apparatus and make measurements. 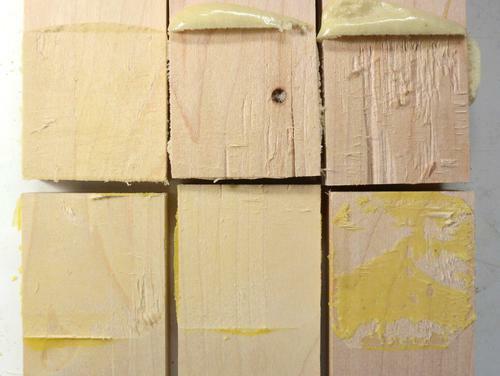 I prepared joints with Gorilla glue (with and without a gap) and plain old Lepage Yellow glue (with and without gap). Each sample has a 4x4 cm glue area, and I'm applying the force at 20 cm from the edge of the joint by pushing up with a bottle jack. The bottle jack is on top of a bathroom scale to measure the force. I adjusted the zero of the bathroom scale to read zero with the weight of the jack already on it. 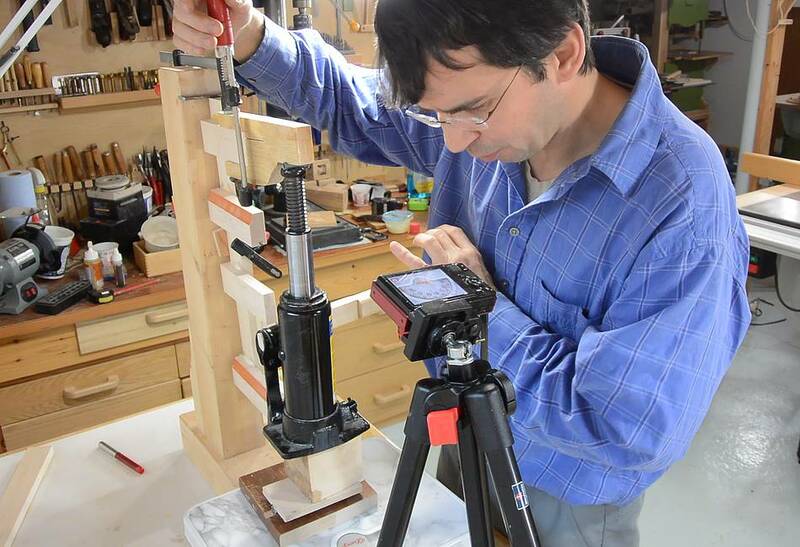 The jack is balanced on a metal pin, and the top also pushes via a small pin to ensure the jack is pushing straight up and not applying any bending moment on either end. 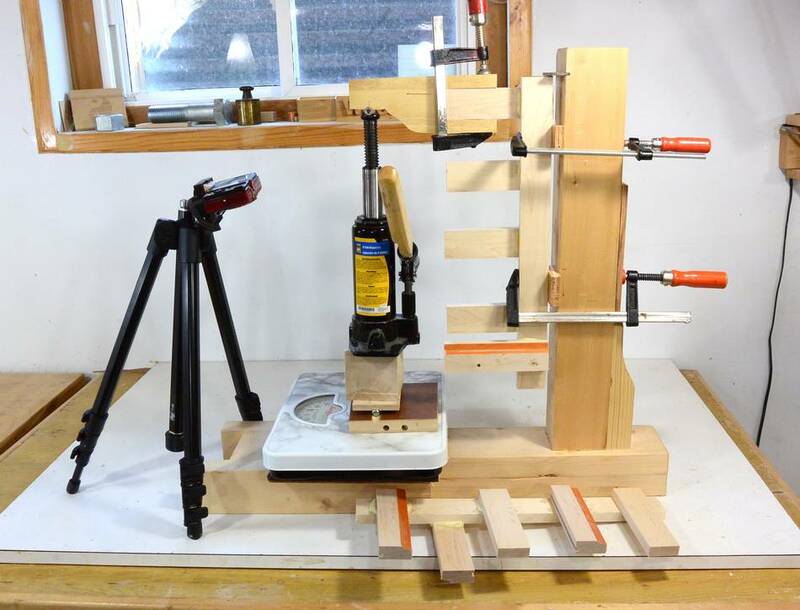 I made an extension piece for my test samples to bring the leverage out to 20 cm as I tested, and I clamped that to each sample as I went. 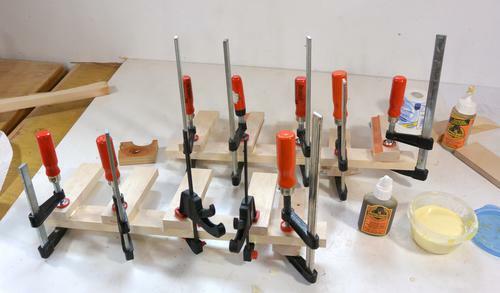 I didn't compensate for the weight of these clamps - my setup isn't accurate enough for that to matter much. I used another camera to record video of the bathroom scale. That way, I had a better record of what the load was just before the joints broke. 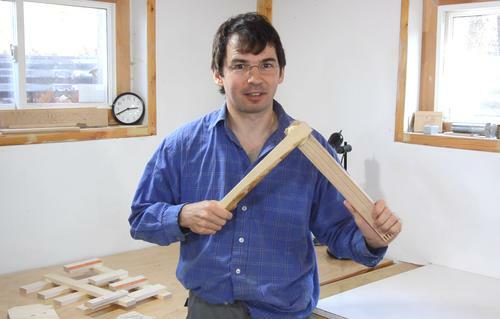 I held the clamp that's holding the extension. That way, when the joint pops apart suddenly, I won't have pieces flying all over the place, because the glue joints have a tendency to let go suddenly. At left, top row: un-gapped Gorilla glue joint surfaces. Bottom row: un-gapped and gapped yellow glue joint surfaces. 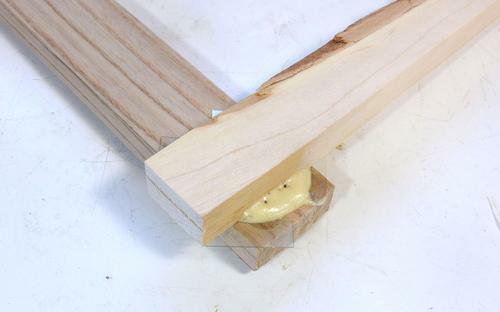 The yellow glue is the yellow LePage wood glue. Not surprisingly, the gapped Gorilla glue joints performed terribly, at less than one tenth the strength of the other joints. However, the un-gapped Gorilla tests were at 230, 225 and 205 pounds, averaging 220 pounds, where the un-gapped yellow glue joints averaged to 185 pounds and gapped yellow glue to 205 pounds. 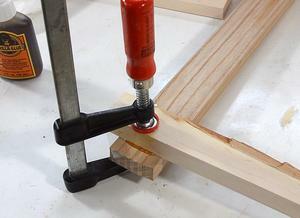 As in my previous tests, the gapped yellow glue joints performed sightly better than the un-gapped ones. Based on this, it appears that Gorilla glue can make for very strong joints, so long as the joint is tight enough that there is no room for bubbles to form. In the samples at left, you can see more fibers ripped out of the wood for the (un-gapped) Gorilla glue joints than the yellow glue joints. I suspect, with a thin enough layer of glue in the joint, it gets too hard to squeeze the glue out of the joint, and the gas from the glue reacting gets absorbed into the wood instead. So Gorilla glue can form a strong joint. 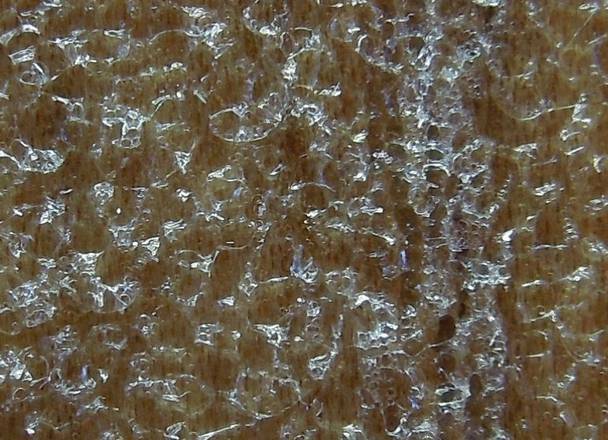 It will also stick to some surfaces that wood glue will not. But for imprecise or gappy joints, Gorilla glue (or any other foaming polyurethane glue) is probably the worst choice you can make. Hi Matthias! We wish you would have reached out to us before going through the trouble of doing all of these strength tests. Gorilla Glue is not a gap-filling glue - that isn't a claim that we make. Because it is a polyurethane glue, Gorilla Glue expands 3-4 times the application amount into the surfaces to create a superior bond. However, if those surfaces are not tightly fitted together and then clamped, the expanding glue will not create a strong bond - as you saw in the video, the "foam" on its own is not strong enough to hold the pressure when the two surfaces are not tightly fitted. As you saw, Gorilla Glue does perform very well when the surfaces are tightly fitted - in fact, it is stronger than the other glues you tried. In the future, we recommend Gorilla Epoxy for gap filling applications, as it fills voids and bonds uneven and vertical surfaces. We hope this information is helpful! ? I wasn't really expecting to get their attention. But I figure it's only fair to include their feedback. The idea that Gorilla glue being good for gap filling is one that persists out there, to the extent that people suggest to me that that can compensate for imprecise joinery. It's that misconception that I hoped to dispel.